1742 Wine Bar features carefully selected wines from all over the world, to make your romantic restaurant experience complete. Our selection of pastas, fish, steaks and pizzas will definitely satisfy your appetite. Located in one of the oldest New York City spots, on the corner of Peck Slip and Water Street, Acqua at Peck Slip is an authentic Italian restaurant. It is a very cozy place with traditional Italian cuisine contained a large diversity of dishes based on the best recipes taken from all parts of Italy from North to South. The restaurant is close to the Brooklyn Bridge, in Historic District named South Street Seaport, where the first Dutch pilgrims arrived in the beginning of the 17th century. This neighborhood still keeps the unique atmosphere of those ages. Cobblestone streets, old fashion sailing ships which moored right to the 17 Pier, make you feel like you are in 19th century Italy. This area contains a high concentration of old buildings, and Acqua is located in one of the oldest landmark buildings in the neighborhood. A bright, open, warm atmosphere takes you in Rome or Florence. With big windows, very old wood floors, simply furnished with wood vintage tables and chairs, Acqua is a great place for enjoying food and wine. The most attractive thing about Acqua is the excellent food. Every dish here is delicious and traditional. The Executive Chef Ivan Beacco uses only good quality organic ingredients that are directly imported from Italy. Olive oil, Parmigiano cheese, Prosciutto Di Parma cured ham and other ingredients were born in Italy. One of the main features that distinguish Acqua from the other many Italian restaurants in New York is the fresh, daily-made mozzarella cheese, fettuccine pasta, desserts and fresh baked bread. Amali’s name was inspired by a historical term for lands shared by modern day Greece, Italy and Turkey. In that spirit, our menu is inspired by the Mediterranean way of life and emphasizes vegetables, olive oil, cheese, grains, fish and lamb. In keeping with the values of that dining tradition, we support sustainability - from the food we buy, the wine we serve, to the finishes and furniture in the restaurant. At Applebee’s you’re always welcome – for delicious food, in a neighborhood setting, with attentive service, at a great value. Our casual atmosphere and attentive staff will make sure you’re eatin’ good whenever you step into an Applebee’s. Especially at one of the World’s Largest Applebee’s in the heart of Times Square in New York City! And, there’s no better spot in Times Square to ring in the New Year than Applebee’s. Both Times Square locations are ideally situated to immerse yourself in the full NYC New Year’s Eve Experience. Join us for a night to remember & party at the World’s Largest Applebee’s in NYC! Craving serious seafood without the fuss? Well, look no further.Bait & Hook Seafood Bar(231 Second Avenue, at 14th Street, New York, NY 10003; 212.260.8015; www.baitandhooknyc.com) is anewly revamped, casual bar/restaurant where seafood is the star. After two years of providing the neighborhood with an accessible seafood shack, the owners of this busy corner space reached out toChef and Consultant Dave Martin (www.chefdavemartin.com) tokick-up the concept. Dave, a Top Chef Alum, who has his own product line, Dave’s Homemade, and works on food and retail projects nationwide, enthusiastically accepted the challenge to bring Bait & Hook’s menu to a new level. The everyday seafood bar now offers the complete package – a relaxed vibe for a quick, satisfying bite, affordable date or group gathering at friendly prices. Dave has created a fun menu at Bait & Hook that will reel in diners and keep them as regulars. There is no compromising when it comes to ingredients; the menu has been created using quality fixings, such as chicken from La Pera Bros, sustainable seafood from Bronx Fish, and American Wagyu from DeBragga. All of Bait & Hook’s sauces are made in-house, and the menu offers several gluten free options, as well as organic ingredients in the selections. Nestled at the southern most corner of Battery Park, right along the water's edge, lies a Manhattan oasis called Battery Gardens - a restaurant with sweeping panoramic views of glorious New York Harbor, including historic Ellis Island and The Statue of Liberty. Go for the amazing view and stay for the delicious fare at this Battery Park gem with its streamlined interior decor and its one-of-a kind outdoor dining experience. It's a great way to spend any part of your day. The ground level is dedicated to the bar and lounge with high-topped bar level tables and intimate booths, perfect for casual dining and cocktails. Step up in the back to a warm, cozy yet spacious lounge, furnished with comfortable couches and wood tables. We're the official Saints football and LSU college bar where you can enjoy all your favorite games . Co-owners John and Vincent have been friends for years, both expert veterans of New York City's fast paced restaurant industry. Meeting while working at Morton’s Steakhouse in 2001, the pair have successfully run restaurants from Boston to Washington DC. Vincent, a classically trained chef and graduate of the Culinary Institute of America and John, with 25 years experience of providing a high level of service, have combined their passions and created The Burger Bistro, a new and innovative restaurant concept. At Cacio e Vino, our chef brings on the table a selection of authentic Sicilian recipes, all made with fresh ingredients imported from the Island of the Sun: authentic Sicilian food brought to your table by authentic Sicilian! Our small plates feature some of our Sicilian signature dishes. There is something for every palate and taste: salad with fresh fava beans for the diet-conscious, pasta with eggplants (The original Norma rigatoni!) for the vegetarian, seared Mediterranean sardines for the gluttonous, or our special sweet and sour tuna filet for the healthy, just to mention a few. Our chef will also present a rich variety of specials seasonally; all dishes should be paired with one of our exceptional Sicilian wines. Ask our sommelier for recommendations. The simplicity of preparation and freshness of ingredients will make your dining experience at Cacio e Vino unforgettable: we hope our food will be able to take you multi-sensorial journey through Sicily's flavors and scents. Established in 2008, Café Mochas has quickly become a popular East Village spot. Our espresso bar serves a variety of coffees and teas. Coffee is very important to us which is why we use only the finest beans, freshly ground and prepared by our experienced baristas to ensure a perfect cup of coffee every time. With more than a decade of experience working together, the staff at Ceci Italian Cuisine is excited for their latest venture to earn the praise of local New Yorkers and out-of-town guests alike. A diamond in the Diamond District, home away from home in Times Square and new show in the Theater District, Ceci serve up delicious Italian food while adding care and gusto to hospitality. The hardwood floors and exposed bricks add a rustic sensibility to the establishment, while the warm lighting, white linens and festive atmosphere add an air of sophistication. Perfect for nearly any occasion, a meal at Ceci Italian Cuisine is one you and yours will remember for a long, long time. Located in the heart of the East Village (and just blocks away from the college bearing Cooper’s name), Cooper’s Craft & Kitchen is the perfect spot for a beer and a bite, whether you’re dining with a friend or a crowd. Cowgirl Seahorse first opened its doors in July of 2009. It was founded by Sherry Delamarter who has over 30 years of NYC restaurant experience including Tortilla Flats, Gulf Coast, and our sister restaurant, Cowgirl in the West Village. A cozy, offbeat corner in Lower Manhattan, Seahorse is a great place to meet for a quiet drink or to celebrate a special occasion. The Sgarlato family is pleased to bring our pizza to the Lower East Side. We have been making traditional pizza for over 50 years. Our style and tradition throughout the years has been based on a desire to serve the best product possible. On behalf of my family we look forward to serving you. This third location of Chef Boulud's popular retail market and café is situated in the World Trade Center Oculus. 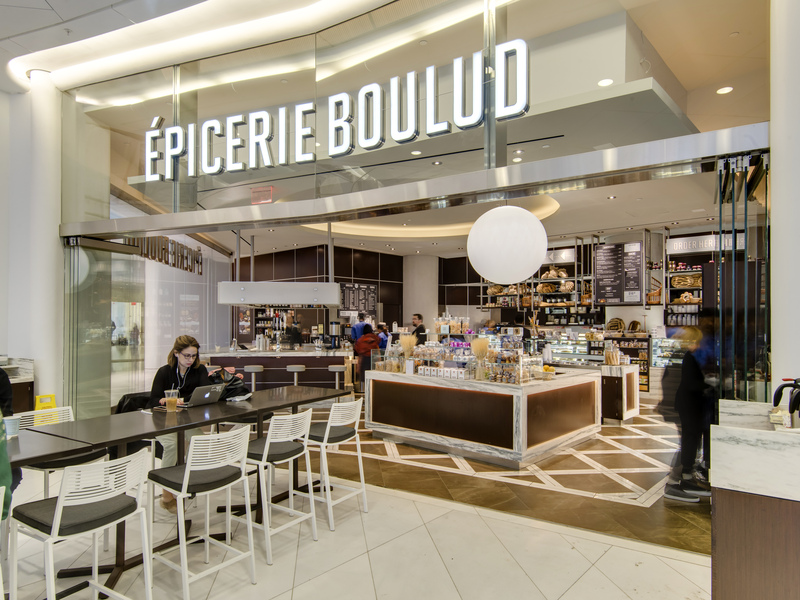 Épicerie Boulud is an epicurean destination for breakfast, lunch and Happy Hour. Épicerie Boulud is famous for its fresh baked breads, delicate and award-winning pastries, savory quiches, soups, salads, sandwiches, and unique French grocery fare. True to the European tradition of casual bar dining, Épicerie Boulud has counter seats at the bar in addition to café seating at tables, where visitors can indulge at their leisure in an elegant yet casual surrounding from morning well into the evening. Double certified pizza master Giulio Adriani’s years of expertise and passion for pizza converge at Forcella’s flagship location, giving you the best pizza in the Bowery. Whether you are looking for Pizza Fritte, the Montanara, Pizza Alla Nutella, or homemade mozzarella, the best pizzeria in the East Village has it for you. Gente Ristorante Italiano offers a touch of Milan in New York City on 45th street. Gente means people; our positioning statement is people, pasta, pleasure. Jay B. Mitchell, owner and executive chef, serves up honest well prepared Italian cuisine direcly influenced by his one hundred or more visits to Italy. Our soups are freshly made daily using all vegetarian ingredients. We serve Panini, Pasta, Pizza, and Salads that are all natural. We offer seasonal dishes like Roman-style baby artichokes and a long list of wines by the glass. Gente also has a fully licensed bar with a wide selection of alcohol. Gelato and sorbetto are flown in daily from Milan and we also have exceptional homemade biscotti. We have an array of specials everyday, guaranteed to please everyone’s taste buds. Take-out from Gente is available as well. Our unique space is perfect for private parties, client presentations, or product introductions. Fun and scenic, the Jazzy Champagne Brunch Cruise offers a unique alternative to brunch in New York. With live jazz, a robust brunch buffet, including a chocolate fountain and omelette station, first-class service, free-flowing mimosas and classic views of New York, this relaxing cruise makes for a perfect weekend outing. Discover the latest dining and entertainment trend aboard NYC’s newest luxury yachts! Hornblower’s Jazzy Champagne Brunch Cruise redefines the brunch scene in NYC, providing guests a unique and exclusive new way to dine. Enjoy our bountiful brunch buffet of classic breakfast favorites as well as chef-selected specialties, accompanied by free-flowing mimosas. Combined with our live world-class jazz band and award-winning onboard DJ, you’ll never look back at the traditional land-locked brunch spots again. It’s a brunch cruise NYC style. Leave land behind and celebrate your next birthday, private engagement party, bridal or baby shower overlooking the city skyline and iconic NYC landmarks. Photo-ops of Statue of Liberty, Ellis Island, Brooklyn Bridge & more! of the Statue of Liberty, Ellis Island, the Brooklyn Bridge and New York’s iconic skyline. From group celebrations to intimate affairs, Hornblower’s New York City Lights Dinner Cruise provides the ultimate setting to make your next milestone a memorable one! Private events, engagements, anniversaries and birthdays – leave tradition ashore and set sail aboard our private, luxury yachts for a unique night out on the Hudson River. Aboard, you’ll enjoy a decadent three-course meal and artisan cocktails prepared by our very own culinary veterans. Experience after-dinner dancing on the river to our live, award-winning onboard entertainment. Take in the sights of NYC’s iconic landmarks from our climate-controlled sun deck, and get up close and personal with lovely Lady Liberty for a special photo-opportunity you can’t get on land! Photo-opts of Statue of Liberty, Ellis Island, Brooklyn Bridge & more! John's of Times Square has been voted one of New York's best pizzas because of its unique characteristics. All pizzas are made to order in one of our four coal-fired brick ovens and like a cast iron pan, our ovens season with age, making no two pizzas the same. The 800 degree coal fired ovens have no thermostats to control heat and are operated by our pizza men who have gone through months of extensive training. We pride ourselves on our fresh ingredients and incomparable recipes, making our pizzas second to none. Come in and enjoy tastes of the Meditteranean! We serve only the freshest and wide variety of Meditteranean fare in town..
TO REDEEM In-Store: Click here, print offer details page and present to Sales Associate at checkout. See below for other details. coverings, rugs, Breitling watches, cosmetics, electrics/electronics, fragrances, athletic apparel, shoes, and accessories, products offered by vendors who operate leased departments in any of our stores including Burberry, Dallas Cowboys merchandise, Gucci, Longchamp, Louis Vuitton, New Era, Nike on Field, selected Licensed Depts. Not valid on: previous purchases, special orders, special purchases, services, gift cards, jewelry trunk shows, payment on credit accounts; restaurants, gourmet foods, wine, Macys.com. Cannot be combined with any savings pass/coupon, extra discount or credit offer, except opening a new Macy’s account. EXTRA SAVINGS % APPLIED TO REDUCED PRICES. Madame Tussauds New York (UK /təˈsɔːdz/, US /tuːˈsoʊz/; the family themselves pronounce it /ˈtuːsoʊ/) is a wax museum located in the heart of Times Square in New York City. Madame Tussauds was founded by the wax sculptor, Marie Tussaud, and is now operated by the United Kingdom-based entertainment company, Merlin Entertainments. The Madame Tussauds New York location opened its doors in 2000 and with 5 floors of attraction space and over 200 figures; it has quickly become a popular destination in New York City. Over 200 years of extraordinary history! Millions and millions of people have flocked through the doors of Madame Tussauds since the first opened over 200 years ago and it remains just as popular as it ever was. There are many reasons for thie enduring success, but at the heart of it all is goo, old-fashioned curiosity. Merchants River House is a casual, family friendly restaurant facing the Hudson River & Statue of Liberty. MRH has 70 seats of indoor dining and 150 seats on two outdoor terraces, the perfect locale for enjoying sunsets over the Hudson. Merchants River House serves moderately priced American Regional fare with most appetizers, salads, burgers and sandwiches priced under $10.00. Most entrees are priced under $ 19.00. The expansive menu includes hand pattied burgers, pizza, herbed rotisserie organic chicken, prime rib, salads, and steaks. In addition, there are seafood choices such as Grilled North Atlantic Salmon and Fish & Chips. 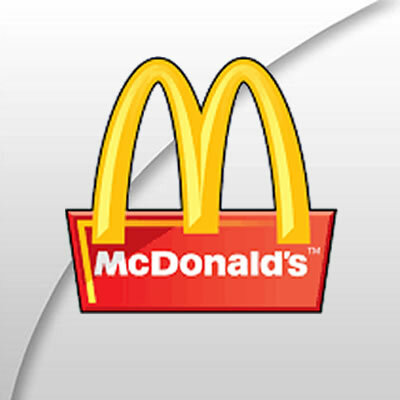 Kid friendly choices include mac & cheese, chicken fingers, and a variety of vegetables. Mom and Dad can relax, knowing their children will always find something tasty and healthy to eat. MRH exudes the feeling of an American Bistro. The decor features a copper top bar, bistro chairs & blue checkered table cloths in the dining room. You’re invited to experience Times Square’s greatest new treasure – National Geographic Encounter: Ocean Odyssey. Journey with your friends and family on this entertaining and immersive adventure across the ocean from the South Pacific to the coast of California. Instead of taking animals out of their homes, Encounter’s groundbreaking technology transports you to theirs, using stunning photo-realistic animation that gives you access to rarely witnessed moments in nature. Your Encounter journey begins as a guided tour, where you’ll experience a battle between two ferocious Humboldt squid, visit a luminous coral reef at night, and more. Once you “swim” through a kelp forest, you’ll continue at your own pace, as you find yourself in the middle of a magnificent feeding frenzy and get up-close with a life-sized 50-foot humpback whale. You’ll then dive even deeper on your adventure in Exploration Hall. Hear breathtaking stories from National Geographic photographers and deep-sea explorers. Take on ocean gaming challenges. Learn about the sea’s greatest wonders and mightiest creatures. And discover how you can be a champion for our oceans in everyday life. Developed and produced by the creative minds at SPE Partners, with a team of Academy, Emmy and Grammy Award-winning artists, Encounter is an unforgettable immersive experience certain to thrill explorers of all ages. Dive into an ocean of fun in the heart of Times Square, all without getting wet! Urban Adventures is about a new style of travel experience for those who want to get off the beaten path and really connect with a destination. Each experience can be as short as a couple of hours, or as long as a whole day, but in every case our Urban Adventures tours take travellers to interesting places to meet locals, and to really see what makes a place tick. Discover the true Little Italy of New York City and see the neighborhood where Broadway's "A Bronx Tale" is set. Arthur Avenue in the Bronx remains a close-knit neighborhood of Italian food shops, most of which have been in business for over 100 years. Join us for a walking tour of Arthur Avenue and 187th Street as we visit butchers, bakers, and cheese shops, as well as the famous Arthur Avenue Retail Market. We’ll taste some of the best bites in Little Italy and meet the food artisans who are keeping traditions alive. -Inclusions: English speaking guide, food and drink samples as per itinerary. Exclusions: Additional food and drinks, transportation to and from the meeting point, tips/gratuities for your guide. Meeting point: In front of the Arthur Avenue entrance to the Arthur Avenue Retail Market, 2344 Arthur Ave, Bronx. Ending point: Arthur Avenue Retail Market. Inclusions: Local English speaking guide, food tastings, transportation, and a map of the neighbourhood. Guests must bring government-issued photo identification as proof of age. Passports and/or driver’s licenses are acceptable. Stroll the streets of New York’s oldest neighborhood as we retrace the steps of one of our greatest locals and founding father, Mr. Alexander Hamilton. Discover how Wall Street, the Stock Exchange, and our financial system began with this young immigrant. We’ll end with a pint at his favorite tavern. Exclusions: Food and drinks, souvenirs and items of a personal nature, tips/gratuities for your guide. -See famous landmarks like Grand Central Terminal, Times Square, Rockefeller Center, and more! -Inclusions: Local English-speaking tour guide, food samples. -Explore the many faces of Brooklyn cuisine, from New American to Italian, the Middle East and beyond! -Inclusions: Local English speaking guide, food tastings, and tour map of the neighbourhood. This happy hour tour is taking you to the centre of New York’s booming cocktail culture as we visit some of the best bars in the city. Along the way, we’ll sample delicious libations, swap tales of speakeasies and gangsters, shop for new locally produced spirits, learn how to make craft cocktails, and discover some of the best places to grab a drink in the Big Apple. Do you prefer wine, beer or whiskey? Or do you like all three?! Awesome, let's go! This private New York tour will take you and your group to three local producers of your preferred nectar, and give you insight into their craft (or is it art?). Plus, we've got plenty of tastings along the way. This tour is priced for a minimum group size of 10 travellers. A group smaller than 10 may still book this private experience but will be charged the base rate for 10 travellers. -Visit your choice of all breweries, all wineries, all distilleries, or a mix! Exclusions: Any other item of a personal nature and gratuities. Tacos, dumplings, knishes, bagels; America would be a food wasteland without immigration. Join this New York tour to sample the side effects of mass immigration while learning about those that dared to live the American Dream. -Stroll through New York's unique cultural historic sites in the Lower East Side, Chinatown, and Little Italy. 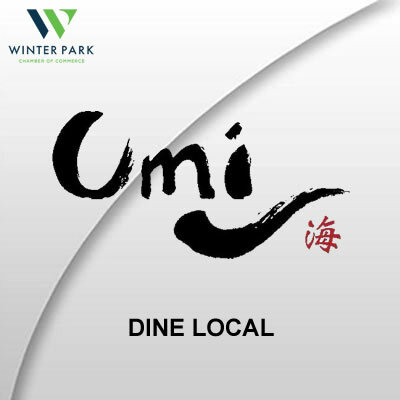 -Inclusions: Local English-speaking guide, several tastes of different ethnic dishes, and a bottle of water. Truly have the Best. Day. Ever. in NYC with our Total NYC Tour! From amazing food to historic neighborhoods to New York’s famous nightlife, this experience covers it all. You’ll also get the scoop on everything NY from our local experts, so it’s a great way to start your trip. We've merged three of our top-selling NYC tours into this adventure, so you can make the most of your time in the city. -Inclusions: Local English-speaking guide, food and drink samples, subway transfers. Join the craft beer crowd of Brooklyn on this Williamsburg tour that puts the average pub crawl to shame. With a focus on the unique brews of the Big Apple, you’ll try 10 different beers, some local snacks, and learn all about the craft beer industry in NYC and the USA. Because drinking beer is even more fun when it’s unique and educational! -Become a craft beer expert in NYC! -Inclusions: Local English speaking guide, all beer tastings (at least 10 different beers), food, beer tasting guide sheet, and a tour map of the neighbourhood. You have two reasons to thank Maia Acquaviva. The first: She's saving you a trip to Brighton Beach, previously the only place to acquire the Georgian cheese bread khachapuri. Second, and more important, the seven distinct versions she's cooking at the new Oda House in the East Village are your path to cheesy, bready happiness. Our favorite is the adjaruli ($12). It arrives at the table resembling a canoe made from yeasted bread. Added after baking are a rather large lumpof butter, a lightly poached egg, and heaps of feta and mozzarella. Swirl them together and a dip emerges. Rip off the gunwales and scoop the makeshift dip. Keep eating until all that's left is the sauce-soaked hull. Capsizing has never been so tempting. If you don't want a meal of bread alone, add on a skillet freighted with oyster and button mushrooms and fried potatoes, fragrant with onions,garlic and dill ($10). Pangea is a casual Italian/Mediterranean restaurant. We are located in the East Village on Second Avenue between 11th & 12th streets, across from the St. Mark’s Historic District and only a couple of blocks from bustling Union Square. Pangea means “all earth” and it was the name given to the super-continent when all the landmasses on earth were connected some 250 million years ago. We feel the name accurately depicts our East Village location, which has always been a melting pot of cultures and ideas. Pangea has been offering seasonal Italian comfort food to the denizens of the East Village for over 25 years! The atmosphere is cozy, relaxed and “artsy”. We have been referred to as a “second home” to neighborhood writers, artists, actors and dancers. Customers are welcome to join us for a light bite before or after a show, a leisurely 3-course dinner, or a quick drink at the bar and outdoor café. The daily specials emphasize local, seasonal ingredients. Signature dishes include Pub Steak Frites, Coq au Vin, Grilled Vegetable Assaggio, Home-Made Potato Gnocchi with Wild Mushrooms, and for dessert Bongo Bongo. and dinner prixe fixe menus and a busy happy hour. The most unique restaurant in Times Square. Paul's is an inviting, comfortable, laid-back, yet elegant italian restaurant located in the heart of Time Square. If you are visiting New York for the day, or if you've lived here for years, come and join us for a hearty lunch, brunch, dinner or maybe a cold pint after work. This is a place where you can relax, where the atmosphere is warm, the people lively and the food appetizing. A true Irish American bar and restaurant. Serving New York since 1995 we are a regular stop off for theater goers before and after a Broadway show. Conveniently located in the heart of the Theater District, just minutes from Rockefeller Centre and St. Patrick's Cathedral. Our dining room is situated on the second floor and is richly decorated with wood paneling and a large selection of Irish playwrights and Broadway memorabilia. Windows overlook 7th Avenue and provide a people watching experience. Its New York you can see it all. We provide an inviting experience, offering Irish, American and continental cuisine. In 2004, Merchants Hospitality introduced Pound & Pence, an authentic English pub that provides an upbeat and inviting escape from the hustle and bustle of downtown Manhattan’s Financial District. The restaurant accommodates 300 people with a multitude of seating options; a tavern-style dining room, a traditionally styled bar and ‘snugs’, which provide the perfect setting for a private get-together. The mezzanine living room offers a pool table, fireplace and luxurious leather wingback chairs that are perfect for unwinding after a demanding day. The décor features vintage English memorabilia accented by dark stained wood and two 10 foot sepia toned murals of late 1800’s street and pub scenes. Pound & Pence also has many TVs and a 10 foot HD Projector Screen for viewing your favorite sporting events. The menu includes English and American favorites such as Shepherd’s Pie, Bangers & Mash, Fish and Chips, Indian Chicken Curry and Angus Beef Steak Burgers. Libations from the expansive bar include British beer favorites such as Fuller’s and Boddingtons, as well as several English Gins and a world class collection of Scotch and Cognac. Pound & Pence offers both full-service catering and delivery. Whether you are in the mood to stop in and enjoy the cheer, take something tasty to-go or have us cater your next event – our warm staff will happily take care of your needs. The Merchants Hospitality dedication to quality, consistency, value and customer service guarantees a pleasurable experience. Looking for what to do in Times Square? Ripley’s Believe It or Not! Times Square is proud to have been surprising and entertaining NYC visitors as one of the top Times Square attractions since the doors first opened to the public in 1939. This historic Times Square museum is home to rare artifacts and thrilling interactive exhibits. Our one-of-a-kind attraction welcomes visitors to immerse themselves in the unusual, the unexpected and the unbelievable. Ripley’s Believe It or Not! Times Square showcases some of the most incredible exhibits found in New York City, many of them discovered and owned by Robert Ripley himself! And…this family friendly attraction is the largest Ripley’s in North America! Grandparents will remember the famous Robert Ripley Believe It or Not! comics from the newspaper, parents will fondly remember the television show, and kids will know the crazy Believe It or Not! annual that sits dog-eared in the school library. Everyone remembers their first visit to a Ripley’s Believe It or Not! attraction. Ripley’s Believe It or Not! Times Square continues the tradition of creating lasting family memories, as one of the best things to do in Times Square. Looking for interactive and exciting things to do with kids in NYC? Our attraction is one of the most perfect indoor activities in NYC with over 20 themed galleries that families can enjoy at their own pace. There’s plenty of engagement for kids! They will delight in the myriad of interactive exhibits while adults can relish discovering more about the strange world we live in while playing with the kids, of course! As you meander through over 20 themed galleries spanning two floors, you’ll discover new surprises around every turn. Make sure you bring your camera! There are amazing photo opportunities you won’t find anywhere else! Where else can you take a photo where you’re only half a person, a head in a jar, covered by live cockroaches, or hanging off the top of the Empire State building? You can do all this and more at Ripley’s Believe It or Not! Times Square! Our Times Square attraction is home to the most amazing interactive exhibits including: Mindball, where the most relaxed brain wins; the amazing LaseRaceTM, where physical insanity ensues; and, the famous Black Hole which will set your mind spinning! Learn more about a few of our exhibits! We think your entire family will agree the Ripley’s Believe It or Not! Times Square is a ‘must see’ on your list of things to do in Times Square! Anyone used to the “curry in a hurry” style of most Indian eateries around the city will be charmed by Salaam Bombay’s upscale yet relaxed atmosphere. Add unusually attentive service and outstanding, eclectic regional cuisine, and you may never return to lesser curry houses. The sumptuous Tandoori lamb, for one, is downright addictive. Relax and enjoy exceptional seafood and vegetarian dishes as you lose yourself in the spicy sounds of live sitar music. At Sirio Ristorante, contemporary interpretations of traditional Italian dishes inspired by the Tuscan standards of Maccioni’s youth are served in a beautiful and engaging environment. The menu offers a variety of pastas and appetizers to simple and robust entrees. With its Fellini-esque décor, an emphasis on hospitality, and one of the most impressive selections of Italian vintages in New York, Sirio Ristorante brings old-time Italy to New York City. Sirio Ristorante is located in The Pierre, A Taj Hotel’s iconic status as the mother of all grande dame hotels in New York City history. 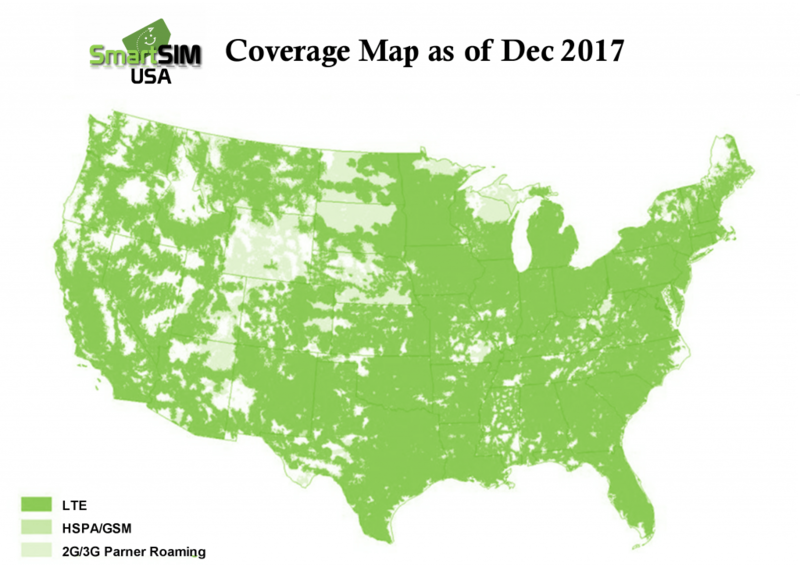 The ultimate GSM SIM for travelers on the fastest network in America. Unlimited 4GLTE Data voice and text. Flat rates with no hidden taxes or fees! Never run out of data or airtime with 5, 10, 15 or 30 day plans. Keep your holiday stress free with phone and internet service that works in all 50 states and Canada at blazing fast speed. Have instant reliable access to Sat Nav (GPS) maps, and emergency services at all times. Watch HD video, stream music, download apps and tether up to 5 other devices using your phone’s mobile hotspot feature. Never worry about running out of 4G LTE data or overage charges. The must-have SIM for a truly worry-free holiday! -Unlimited Incoming calls from anywhere in the world. The ultimate GSM SIM for travelers on the fastest network in America. Unlimited 4GLTE Data voice and text. Flat rates with no hidden taxes or fees! Never run out of data or airtime with 10, 15, 20 or 30 day plans. Keep your holiday stress free with phone and internet service that works in all 50 states and Canada at blazing fast speed. Tavern on Jane is the quintessential Greenwich Village tavern serving food that exceeds comfort – delicious, classic American dishes mixed with our chef’s inventive nightly specials. Since opening its doors in 1995 Tavern on Jane has become a treasured culinary and social destination where patrons known and new are met with warm hospitality, classic cocktails and savory food. Each of Tavern on Jane’s three distinct spaces provides a memorable lunch, dinner, weekend brunch or a private dining experience among historical architectural details of exposed brick walls, fireplaces and a vintage tin ceiling. Tavern on Jane is one of the few remaining places in New York City where regulars and newcomers mix seamlessly for a casual, convivial and tasty time out. Located in an historic building at 179 Franklin Street in Tribeca—has been a neighborhood fixture for more than 8 years. Once used as a warehouse for Greek olives and cheeses, the space (designed by renowned architect Jean-Pierre Heim) is now one of the most authentic Greek eateries in New York City. Thalassa—which means “the sea” in Greek—features a chic curved bar made of marble from the island of Thasos, original exposed brick, flower-filled urns from Tripoli, and handmade Iroko wooden tables from Mykonos. A forty-foot-long wine room leads to a climate-controlled wine and cheese cave that houses more than 2,500 wines, including rare boutique finds from Greece. Thalassa has become the destination spot for hosting private events. We have two beautiful private rooms that can accommodate social or corporate events from 20 to 200. We have hosted many weddings, rehearsal dinners and other special events. We are proud of the numerous awards and reviews we have garnered, we consistently receive a high rating in Zagat. We have been given 3 stars from Forbes and for 3 years we have been awarded for “Fine Dining” from Sante Magazine. Our amazing valued wine list, of over 1,000 labels, has been awarded many awards from Wine Enthusiast and from Wine Spectator a rare award of unique distinction. Our Chef’s mission first and foremost is to serve only the freshest and healthiest dishes. Our seafood is imported directly from Greece, Spain, Portugal and Hawaii. In addition to special arrangements with local independent fisherman who meet only the highest standards. Some of the special dishes you can sample are Greek peasant salad of tomatoes, cucumbers and Dodonis Feta or Maine Diver Sea Scallops, wrapped in kataifi filo with sheep’s milk, butter and Kalamata balsamic reduction. Other seafood specialties we offer include, langoustines from New Zealand, king shrimp from West Africa and octopus from Portugal. We invite you to come and experience our incredible cuisine, outstanding service and our beautiful surroundings. We look forward to creating a dining experience you will always remember. TO GET YOUR DESTINATION SAVINGS PASSPORT: Receive a complimentary Destination Passport featuring hundreds of dollars in added value discounts and special offers when you present this Boarding Pass to Savings (or click on Boarding Pass below to print), courtesy of Travelhouse of America, to SimonTM Guest Services or Information Centers staff at participating SimonTM Shopping Destinations or located on property at THE MILLS AT JERSEY GARDENS. Uncle Paul's Pizza has always given the people of New York quality food, fast delivery and great customer service... all at a palatable price! TO GET YOUR DESTINATION SAVINGS PASSPORT: Receive a complimentary Destination Passport featuring hundreds of dollars in added value discounts and special offers when you present this Boarding Pass to Savings (or click on Boarding Pass below to print), courtesy of Travelhouse of America, to SimonTM Guest Services or Information Centers staff at participating SimonTM Shopping Destinations or located on property at WOODBURY COMMON PREMIUM OUTLETS®.